Spend your evening listening to some of the best Fleetwood Mac music in a wonderful, high-energy atmosphere when you attend the Fleetwood Mac-Dreams show, where you can listen to some of their most popular songs as performed by the amazingly talented cast at God and Country Theatre in Branson, MO. This tribute show is sure to impress! 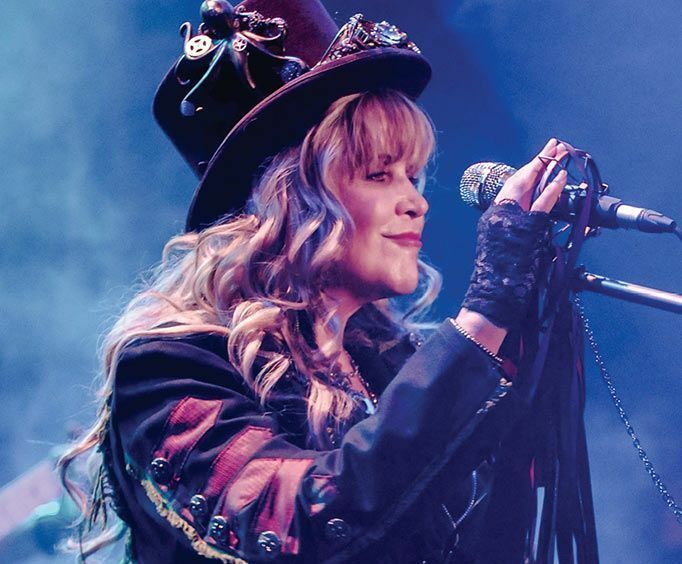 With a spectacular performance, amazing performers, and music that will have you reminiscing about days long gone, this show will have you singing and dancing along to terrific songs such as "Rhiannon," "Black Magic Woman," "Go Your Own Way," "Landslide," and so many more! Having formed in 1967, this band skyrocketed themselves into stardom with their 1975 eponymous album. Fleetwood Mac has toured all over the world, playing numerous countries in the more than fifty years that they have been performing. Withing their careers performing and recording albums, they have released seventeen studio albums, with many hit singles being produced from those albums. Do not miss out as the GAC Theatre puts on a fantastic tribute show paying homage to their work! This spectacular theatre is home to two theatres, as well as roughly twenty shows, making this an amazing place to catch some live entertainment that will keep you smiling all evening! This venue is known for being one of the most popular locations in Branson, MO to see some live entertainment, and there is always an impressive show to see. Make sure to head to God and Country Theatre to see this spectacular tribute and reminisce about the music of one of the greatest bands of their time. What is included in the admission price for Fleetwood Mac - Dreams? Approximately how long is the Fleetwood Mac - Dreams? It is held at the God and Country Theatre. This group sounded so much like fleetwood mac it was amazing and they had only been doing the show since july. Will see them again when we go back this summer. Really enjoyed your show. Great singers and musicians!! This was our favorite show. The voices and music were awesome. It was a true tribute to the band. It was not julie meyers as stevie, but a girl named adrianna who was just as good! She sounded like stevie and has all the floating motions down pat. The lady who sang the christine mcvie songs was just as good too. It was 1:45 of straight up fleetwood mac and was really fun. You will get your monies worth for this show. A really good tribute band!